The permanent mount Original Phantom low profile antenna is designed to be permanently mounted through a relatively thin metal surface. Surface must be metal in order to provide ground plane. The threaded connector on the underside of the antenna is N/Female. In order to connect to a radio or other device you will need a cable with appropriate connectors. We can custom build virtually any cable you require - please contact us. 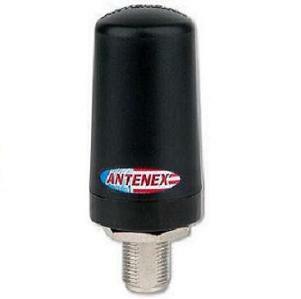 Powerful antenna, requires NMO mount 2.4-2.5GHz 8MHz antenna. Typically installed through-the-roof. Very popular for public safety and commercial vehicles.